Asaf Hanuka has been doing editorial illustration since 1995, after studying at the French art institution Emile Cohl. He has collaborated with his twin brother Tomer on the comics series Bipolar, and with other French and Israeli writers on various works. Among these, “Streets of Rage,” with writer Etgar Keret. 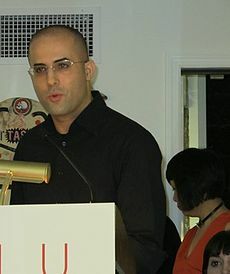 He contributed art for the award winning doc-animation feature film Waltz with Bashir. Since 2010 Asaf has been documenting his life in the weekly comics series, The Realist for which he won gold medal from The Society of Illustrators and Award of Excellence from Communication Arts Annual. 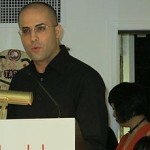 Asaf’s work has appeared in Time, Rolling Stone, The New York Times, The Source, Wall St. Journal, Forbes, and others. He is married to illustrator Hilit Shefer. They live in Tel-Aviv where they raise their son, Yoel.